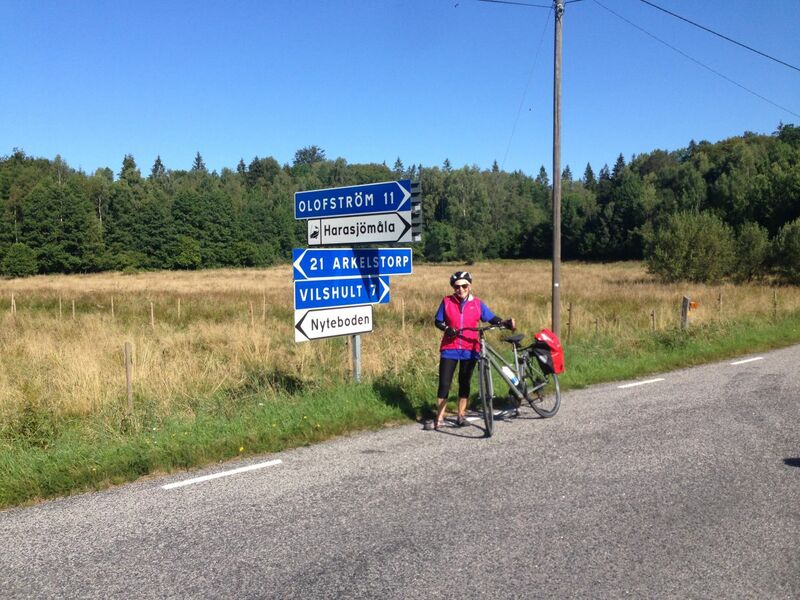 We left Olofstrom, to ride through forest and see the art park at Vanas and then stay at Hassleholm. And there were many other adventures this day. We set off through the dense forest, although strictly speaking there, er, might have been, like, a sort of tarmac road that saved us the need to hack through the undergrowth with machetes. 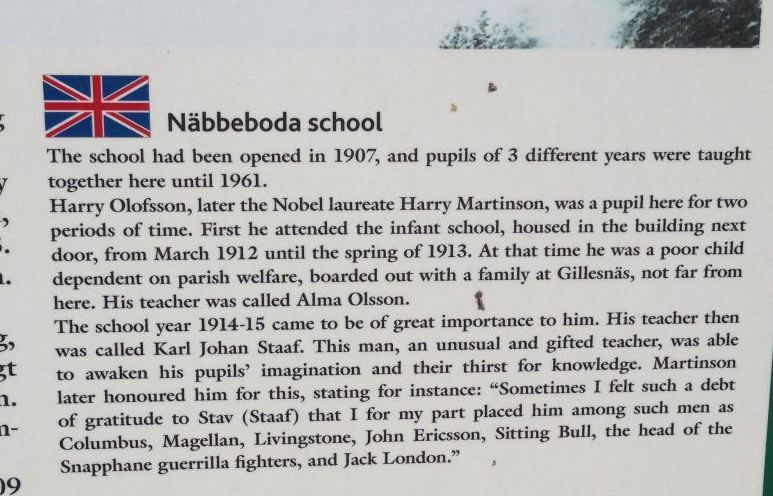 We came to a building that was once a school, attended by the infant Harry Martinson, later to become a Nobel Prize winning author. Later, he attended the same school as Barbro’s father, although they were 8 years apart. Across the road from here was a lake, near whose shores were caves where Martinson’s mother would hide, with the children, when the father came home in a drunken and violent rage (eventually, he was thrown into prison for domestic violence). As we will see, Martinson’s life was a perpetual stream of misery …. when he was 6, his mother disappeared, leaving him to become a ward of the state. 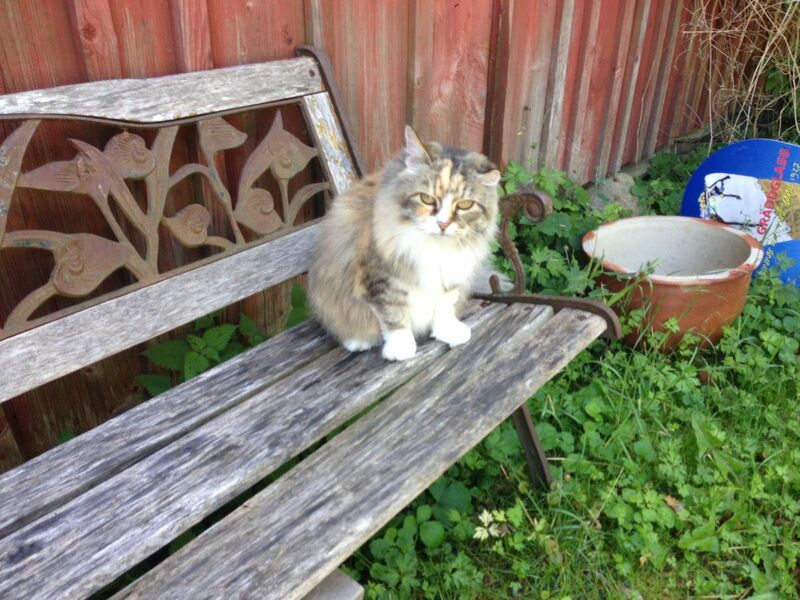 The house where he was born was nearby, and here we saw Harry Martinson’s cat – well, this is probably not the original cat, but it is a splendid beast anyway. The teenage Martinson decamped from the various institutions where he was incarcerated and soon went to sea, visiting South America and other remote places – before jumping ship and wandering the streets back in Sweden, getting arrested for vagrancy at the age of 21. What a life – he wrote a poem about stinging-nettles, which have tiny, delicate white flowers that are hard to see. Hey, you gotta laugh – he also wrote the space-poem Aniara, about a spaceship that malfunctions and starts to perpetually accelerate. Written in 1928, this story in verse form predates almost all science fiction, and has been made into an opera. 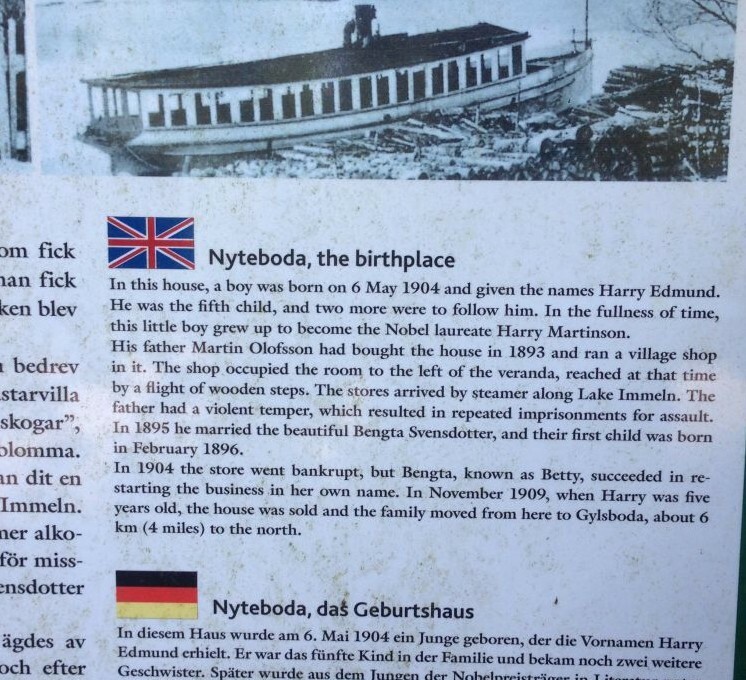 In recent years the good burghers of Olofstrom have realised that their town has produced somebody famous, so the only hotel is named Aniara after the poem. The bus shelter outside it is also so named – in rather poor taste, really – I mean, if you catch a bus there it might perpetually accelerate into deep space. 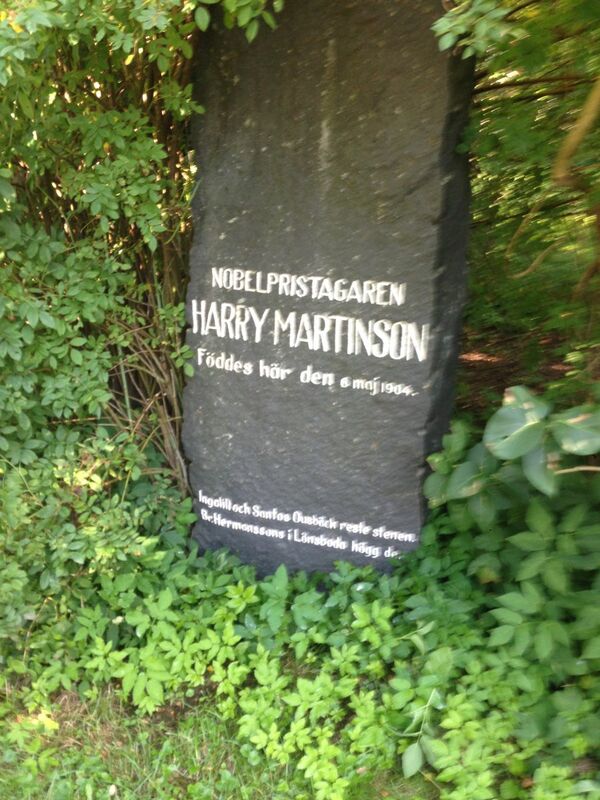 Martinson got the 1974 Nobel Prize for Literature for these works. However, it was noted, especially by people who were not awarded a Nobel Prize, that he had been a member of the commitee that had awarded this one … the resulting mutterings, bitching, gossip, scandal and hoo-hah became so intense that he was hospitalised for depression in 1978. The patients were kept away from possible means of suicide, but nevertheless he killed himself with a pair of scissors. Euchhh. 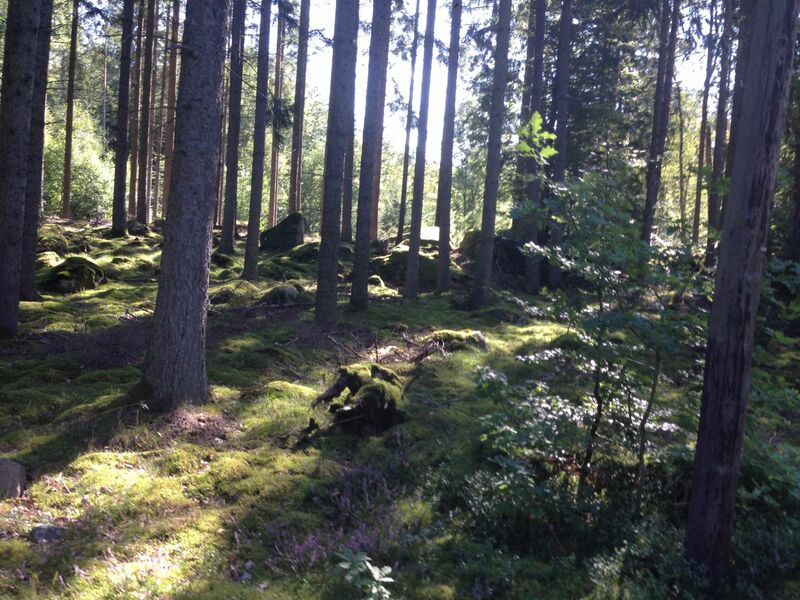 Meanwhile the forest goes on … every part of the forest is different. 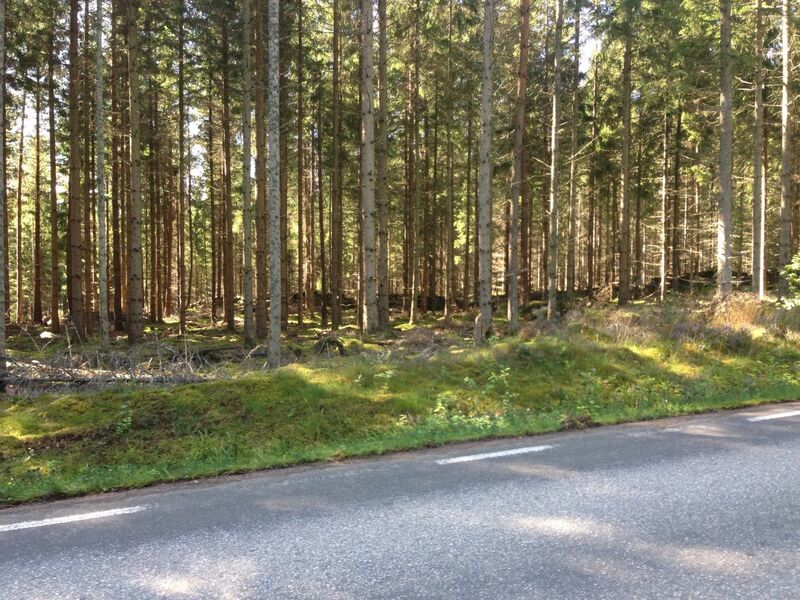 We could easily distinguish Skane forest from Blekinge forest, lying 20 km away. 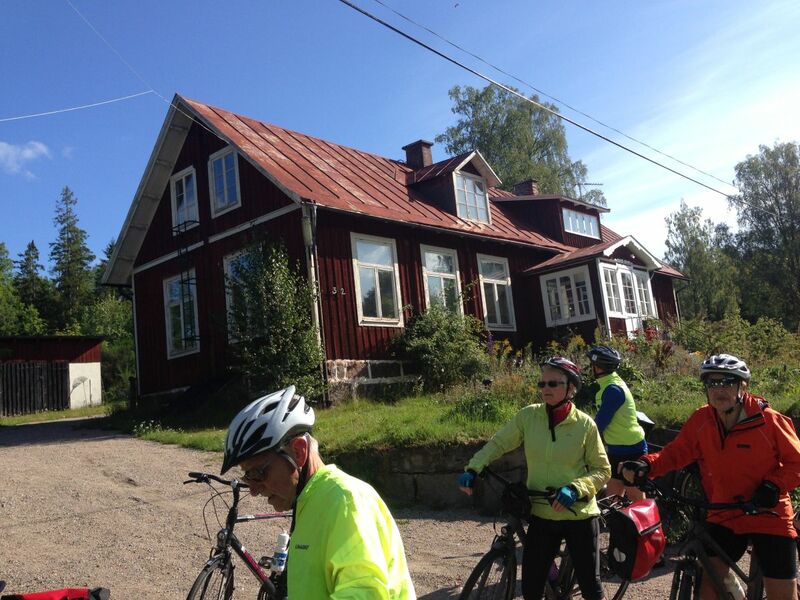 As we cycled away from these Martinsonian places, we came to a certain farmhouse for morning coffee, that Lars had discovered by accident during a pre-survey ride. And what a place! Sorry, you’ll have to wait till tomorrow. This entry was posted on December 3, 2017 at 10:24 and is filed under Sweden2017. You can follow any responses to this entry through the RSS 2.0 feed. You can leave a response, or trackback from your own site.